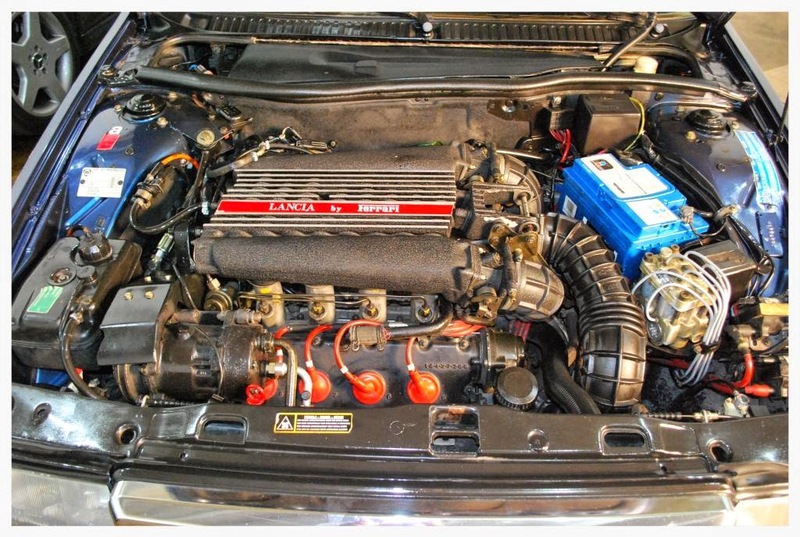 The Saab/Fiat type 4 platform (1984-1998) was a front-wheel-drive luxury platform that was used under the Lancia Thema, Saab 9000, Fiat Croma, and Alfa Romeo 164. Each version offers their own spin on the transverse front-drive luxury formula, but only the Thema was available with a Ferrari V8 up front. 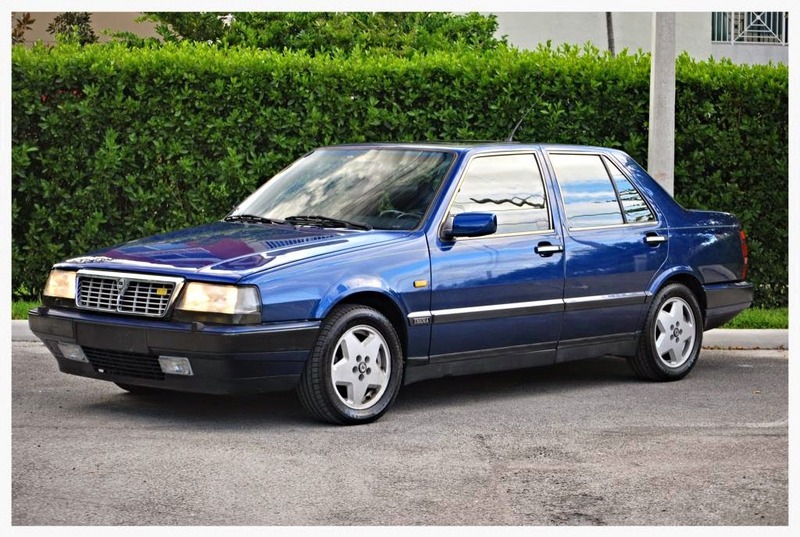 Find this 1989 Lancia Thema 8.32 currently bidding for $12,100 reserve-not-met ($25,900 buy-it-now) here on eBay with a few hours to go, located in Miami, FL. The Thema 8.32 (8 for number of cylinders and 32 for valves) is one of the stranger ways to get a V8 from the 308/Mondial in your garage. Styling for the Thema sedan comes from Giorgetto Giugiaro's Italdesign and it looks equal part 80s chic and exotic today. The 3.0 liter V8 under the hood was built specifically for the Lancia by Ferrari. It uses a cross-plane crankshaft instead of the typical Ferrari flat-plane crankshaft, but pushes out 215 horsepower and 210 ft-lbs of torque. 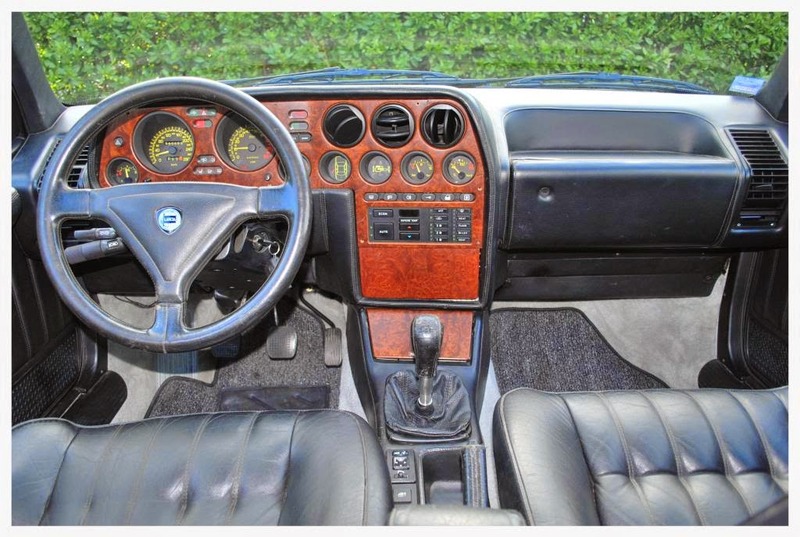 Inside, the car looks the part of a Q-ship, nice leather and wood covers most surfaces, and the gauges look properly Italian. Enjoy this awesome vintage promotional video from Lancia, complete with lots of emphasis on the Ferrari-Lancia legacy, and the automatically deployed rear wing. I had a 164 S for several years and absolutely loved it. I'd still have it if the local service shop had been a bit better. Previous to that car, I could not bring myself to driving an FWD car. After that, I sought them out. I had this generation Saab 9000 once. 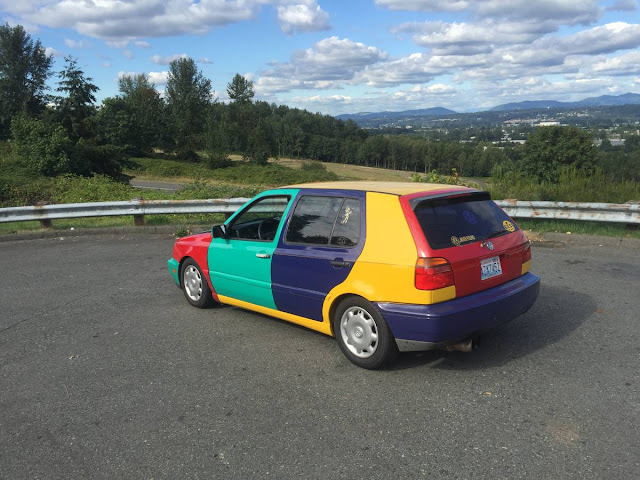 It's the car I regret selling to this day. The Lancia? Less useful than the Saab and you get to go to a Ferrari dealer for engine work. Do a Nancy Reagan: "Just say no." No, the 99 and early 900 is 4x4.5/114.3, the '88-93 and 9000 are 4x4.25/108, the Vectra 900 went to a 5-lug pattern but the 9000 kept the Euro Ford pattern to the end. @Kaibeezy - how do you delete your own posting? I have seen other do it too (even mere mortals) and I am curious (just in case I ever accidentally post under the influence, or something). It is an interesting car, but it combines almost every maintenance nightmare scenario in one package. Low production, gray market, oddball Ferrari motor, and K-Jet injection. @kaibeezy....I think you accidentally linked to the wrong wheel. Here's the correct one.